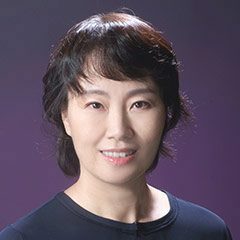 Sung-Hwa Park has served on the USC Thornton’s School of Music’s keyboard faculty since 2002, where she currently directs the Functional Skills program for keyboard majors. In November 2018, she was invited to give a workshop on concepts in modern class piano techniques with emphasis on keyboard harmony skills at the University of Taipei in Taiwan. In the summer of 2018, sponsored by Yamaha-China, Park was hosted as an educational consultant to give master classes and lectures on keyboard harmony and functional skills in the class piano programs at Tianjin, Sichuan and Xinghai conservatories in China. In November 2017, she was invited to attend the Belt and Road International Music Seminar on the Art of Improvisation held at the Southern University of Science and Technology, Shenzhen, China, to give a lecture and a performance on Baroque improvisational techniques with emphasis on figured bass. In October 2017, she adjudicated the Second Yamaha China Electronic Keyboard Competition and performed on the basso continuo sonatas of Bernardo Pasquini in Xian, China. In the summer of 2016, she held master classes and performances on figured bass and Baroque improvisational techniques in Tianjin, China, and in Fazioli Hall in Taipei, Taiwan. During the summer of 2015, she directed the keyboard musicianship skills program at the Noah Arts Hall, in Seoul, Korea for the Piano Music Teachers Association. From 2010 to 2012, Park served as Interim Director of Piano Pedagogy, coordinating the class piano program, supervising teaching assistants, and teaching the intermediate and advanced pedagogy courses. Previously, she directed the class piano and theory applications programs at California State University, Dominguez Hills and Fullerton. Since 2009, the pianist has served on the faculty of the And Vision student piano program, Tokyo, Japan, teaching gifted young pianists. Park received her undergraduate degree in piano performance at Yonsei University, Korea, and the DMA in piano performance at the Thornton School of Music, University of Southern California, specializing in the classical repertoire and electronic music. Her teachers have included Paul Badura-Skoda, Stewart Gordon, Ok-Hee Lee, Menahem Pressler, Dennis Thurmond, and Robert Watson, with history studies under Gilbert Blount. An accomplished performer, she has given solo and chamber recitals in Asia and the United States.